Cellements operate in the personal care MLM niche and are based out of Tallinn, Estonia. The company was founded in late 2017 and is headed up by CEO Anders Karlsson. Other MLM opportunities Karlsson promoted prior to Cellements include Vemma and Nature’s Own. Karlsson, originally from Sweden, was a top-earner in Vemma and focused on the Italian market. In 2012 Business For Home reported Andersson had a Vemma downline of about 8000 affiliates and was making around $20,000 a month. In 2014 Italy’s Competition and Markets Authority ruled Vemma was a pyramid scheme. Read on for a full review of the Cellements MLM opportunity. Cellements retail their sprays for €6 EUR. 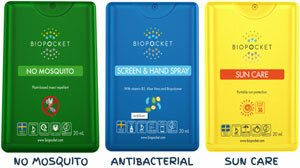 Each Biopocket spray contains 20 ml of liquid and delivers 225 sprays. Cellements pay affiliates for generating retail sales. Affiliates are required to purchase product each month to qualify for commissions. Commissions are paid out directly and residually via a unilevel compensation structure. There are nine affiliate ranks within the Cellements compensation plan. Each Cellements spray product purchased or sold generates 5 PV/GV. PV stands for “Personal Volume” and is sales volume generated by an affiliate’s own purchase of Cellements products and retail orders. 50% of GV quotas for each Cellements affiliate rank must be sourced from personally recruited affiliates. Also no more than 50% of total GV can be sourced from any one unilevel leg. Although not explicitly defined in the Cellements compensation plan, I believe an “active customer” is a retail customer who is ordering at least 40 PV of product each month. To qualify for commissions a Cellements affiliate must purchase at least 80 POP worth of product each month. POP (Personal Order Points) is the same as PV except it only counts an affiliate’s own purchase product (retail order PV is excluded). Points accumulated from a Partner’s personal purchase. In their compensation plan, Cellements refer to their affiliates as “partners”. Cellements affiliates are paid to sell products to retail customers. Retail commission rates are determined by total retail PV generated each month. Note that retail commission rates are paid out as a percentage of monthly PV production, not the retail value of products sold. Cellements pay residual commissions via a unilevel compensation structure. Cellements cap payable unilevel levels at eight. Residual commission are paid out as a percentage of PV generated across each of these eight unilevel team levels. Note that affiliate orders are calculated based on 100% of the equivalent PV their orders generate. Retail customer orders are only counted at a rate of 50%. E.g. if a unilevel team affiliate on level 4 ordered 50 PV of product, the residual commission on that order would be 5% of 50 PV. If the same affiliate sold 50 PV worth of product to a retail customer, the residual commission on that order would be 5% of 25 PV (only 50% of 50 PV is counted). When a new Cellements affiliate purchases a Sample Pack within their first 90 days of signing up, a Fast Start Bonus is generated. The Customer Frenzy Bonus Pool rewards Cellements affiliates for selling product to retail customers. An affiliate receives one share in the Customer Frenzy Bonus Pool each time they generate 120 PV in retail orders to at least three new retail customers (PV is accumulative between the three or more customers). Each 120 PV reached generates one new share, capped at three shares a month. The Customer Frenzy Bonus Pool is made up of 0.5% of company-wide sales volume per region. Cellements however guarantee a minimum €20 EUR value per share. Note that the Cellements compensation plan does not define Customer Frenzy Bonus Pool regions. The Global Bonus Pool is split into three separate pools, each made up of 1% of Cellements’ company-wide sales volume. Cellements take 1% of company-wide volume for each country and place it into the Founders Pool. 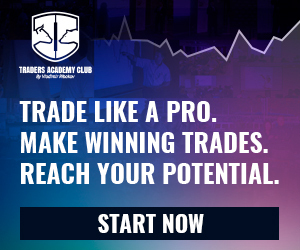 The Founders Pool is paid out quarterly to all qualifying affiliates. Note that the Founders Pool for each country is closed off to new affiliates after 12 months of Cellements opening in that country. The Quarterly Consistency Pool is a quarterly bonus based on generated PV across four months in a calendar quarter. The Quarterly Bonus requires an affiliate to maintain at least 500 PV each month in the quarter. The bonus paid at the end of the quarter is based on the month with the lowest qualification group. I.e. an affiliate can hit 10,000+ PV for three months but then in the last month if they only generate 3000 PV, their Quarterly Consistency Pool bonus for that quarter is €1500 EUR. Cellements fail to provide affiliate membership costs on their websites. I’m not really sold on the retail viability of Cellements’ Biopocket sprays. They seem to be reasonably priced and I assume effective as advertised. Personally I’m more of a soap + water guy but I can appreciate the convenience. Integration between Biopocket sprays and the Cellements compensation plan however reveals an apparent disconnect. First and foremost there’s no excusing Cellements requiring affiliates to purchase product each month to qualify for commissions. It’s blatant “pay to play” and is an MLM regulatory red flag. Secondarily the amount of product Cellements affiliates are required to purchase seems abnormally high. 80 PV is 16 individual Biopocket sprays. At 225 sprays each pack, what is an affiliate supposed to do with 16 individual sprays each month? Granted retail sales is supposed to be the idea, but it’s inevitable that won’t happen each and every month for every affiliate – which lends itself to inventory loading. Another MLM regulatory red flag. With respect to active retail customers, the 40 PV limit is 8 spray packs a month. Even with a family, are retail customers really going to blow through that many spray packs each month? Retail customers of course don’t have to commit to such a higher monthly order. But if a Cellements affiliate wishes to advance in rank, they’re going to ahve to find retail customers that do. With that in mind hitting 2000 GV a month just to qualify one level of unilevel commissions seems pretty steep. 2000 GV is 400 spray packs a month, of which at least 200 must be purchased by personally recruited affiliates. That’s a lot of commitment just to earn 7% on personally recruited affiliate volume. And speaking of unilevel commissions, why on Earth is residual GV only counted at 50%? Cellements have great retail incentives like the Customer Frenzy Bonus Pool and tying retail customer requirements to rank, but then they go and penalize retail volume. Taking a step back, the price-point of Biopocket sprays and what’s required in the Cellements compensation plan is definitely geared toward high-volume affiliates. Anyone who isn’t a production machine right out of the gate seems to get screwed. I believe there needs to be greater synergy between Cellements products and what’s expected in the compensation plan. Perhaps that’s something corporate can work on. Other than that, the aforementioned pay to play also ruins the opportunity. Despite having an affordable product with obvious market demand, Cellements shoot themselves in the foot with rookie MLM compensation plan mistakes. Hopefully we see a revision over the next year otherwise I don’t think Cellements is ever going to take off. The challenges new affiliates face and the income they earn whilst meeting those challenges just isn’t worth it.